The Godfather was the Mafia movie of the 1970s, and one that has done much to form the public conception of organized crime today. But it was not the first popular film to do so. 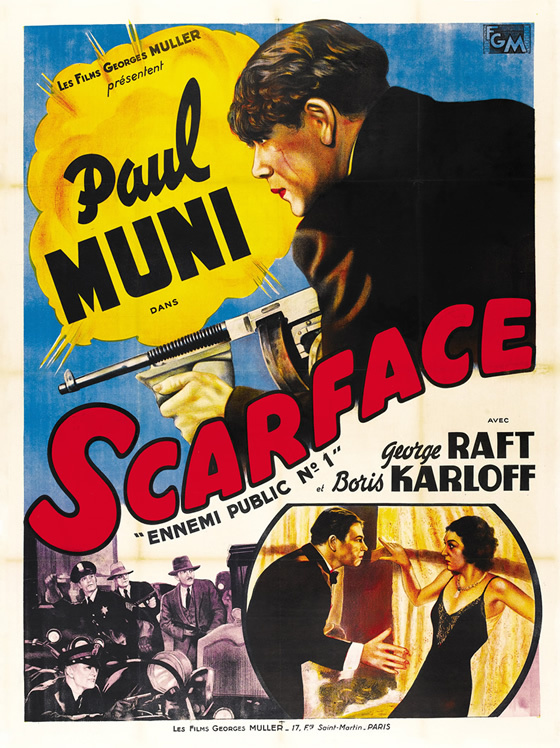 Scarface was made in 1932. Preceded by two noteworthy crime movies, Little Caesar and Public Enemy—the former patterned after the exploits of Chicago's Cardinelli gang and the latter after that city's O'Banion Gang—Scarface enjoyed the greatest impact because of a notorious curiosity about and fear of Al Capone. Accurate about the scar, there remained questions about its authenticity—especially from Al Capone himself. At least Capone saw few similarities—and sent a couple of torpedoes to check out the facts. The screenplay had been written by Ben Hecht for Howard Hughes's studio. One night there was a knock on the door of Hecht's Los Angeles hotel room, and two sinister-looking hoods confronted him with a copy of the screenplay. "You the guy who wrote this?" one demanded. Hecht had to admit he was. "Is this stuff about Al Capone?" "God, no!" Hecht assured them. "I don't even know Al." He rattled off the names of Chicago underworld characters he had known in his reporter days—Big Jim Colosimo, Dion O'Banion, Hymie Weiss. The Capone emissaries were appeased, one announcing: "O.K. then. We'll tell Al this stuff you wrote is about them other guys." As they started to leave, however, the other one had a thought. 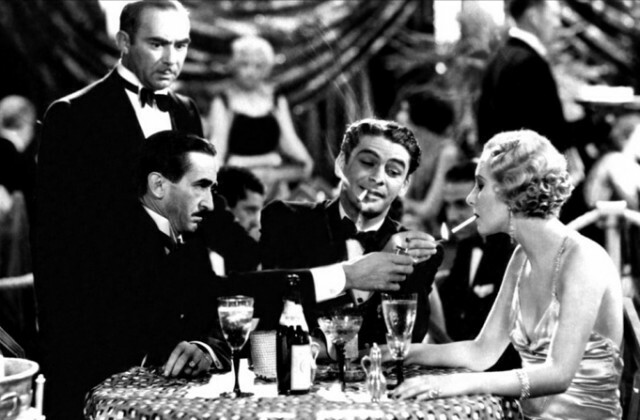 "If this stuff isn't about Al Capone, why are you calling it Scarface? Everybody'll think it's him." "That's the reason," Hecht replied. "Al is one of the most famous and fascinating men of our time. If you call the movie Scarface, everybody will want to see it, figuring it's about Al. That's part of the racket we call showmanship." This was a readily accepted explanation. If there was anything the Capones appreciated it was a scam. "I'll tell Al. Who's this fella Howard Hughes ?" "He's got nothing to do with it. He's the sucker with the money." "O.K. The hell with him." Placated Capone's hoods departed. The power structure of Chicago was not nearly as placated about Scarface however. As Ralph Salerno and John S. Tompkins have noted in The Crime Confederation, "The movie was so explicit in its exposure of municipal corruption that the city of Chicago banned it until World War II."